Sign up at Gossip Slots and Drake Casino using promo code “Spooky” to play in the $500 bi-weekly slot tournaments. Passwords included. Our Horse Racing Handicapper Stogie takes a look at a few plays for Sunday, April 21, 2019 from various tracks! Check out our latest article in reference to Texas Hold'em and find out why limping isn't such a bad idea! 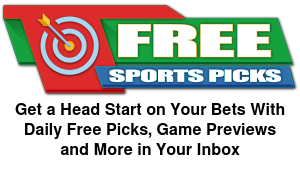 Check out the handicapping preview and free play from the NBA in the game between Denver Nuggets and San Antonio Spurs! Check out the NHL Playoff Hockey handicapping preview and betting free play from the game between St. Louis Blues vs. Winnipeg Jets! Don't miss the handicapping preview and NBA Betting Free Play in the game between the Detroit Pistons vs. Milwaukee Bucks. Don’t miss our UFC on ESPN handicapping preview and free plays article for Saturday, April 20, 2019 from St. Petersburg, Russia! Check out the handicapping preview and betting tips for the 2019 RBC Heritage from Hilton Head, South Carolina! Check out the DFS Lineup Tips for the RBC Heritage from Hilton Head, South Carolina at Harbor Town Golf Links! 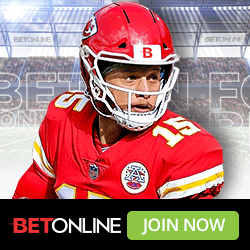 Don’t miss UFC 236 handicapping preview and free plays article for Saturday, April 13, 2019 from Atlanta, Georgia! Find out about BetAnySports new Lucky Live Dealer that will be coming to the website soon as one of the fast growing segments in the Casino! Fin out about playing mini games at BetAnySports. Find out what games are available, different games offered and much more! Fin out about playing live table games at BetAnySports. Find out what games are available, different games offered and much more! Our friends over at MyBookie help you figure out what games have the best odds and are the most profitable for your bankrolls! Exclusive Spooky Express Freebuy Set for March 9 – Get your account at ACR using promo code “Spooky” today and join in the fun. Check out our 5 easy tips to improve your Texas Holdem game! Find out what are some of the best tips to improve your hand and your game! Americas Cardroom will be hosting the $1.3 Million Dollar High Five! Find out more information within this article! Find out when it is smart and wise to fold on those monster hands preflop. When do you hold and when do you fold? Check out the handicapping preview and betting free play in the English Premier League between Everton vs. Manchester United! Check out the handicapping preview and betting free play in the UEFA Europa League match between Benfica and Eintracht Frankfurt. Check out the handicapping preview and betting free play in the English Premier League between Crystal Palace vs. Manchester City! Award-winning fantasy baseball analysis, since 1986.